We are constantly, rightly reminded that the Earth is a fragile environment and that many species are under threat through habitat destruction or degradation at the hand of mankind. Much of the damage is caused by criminal activity or an inconsiderate or uncaring approach to industrial or commercial profiteering, where the loss of habitat and dependent flora and fauna is seen, by those involved, as an acceptable by-product of the process. The public find the loss of any species as a result of an ‘incidental’ consequence of what is otherwise the lawful exploitation of our natural resources both difficult to comprehend and unacceptable. It is all the more disturbing, therefore, when we learn that some species are being pushed towards extinction by groups, or individuals, who specifically target them. It is all too easy to imagine that these events take place on the other side of the world, in the rainforests or on the savannahs in distant lands but this is not the case, it is happening here, on our doorstep, today. legislation and European Directives providing for custodial sentences, the Hen Harrier is under severe threat from habitat loss in Wales and from persecution throughout the UK. The species is facing extinction in England. These real and imminent threats to the Hen Harrier are not caused by ‘incidental activities’ they are the consequence of determined criminal activity. essential that action be taken immediately to negate the threat. Operation Artemis will ensure that future generations will continue to enjoy the sight of the Hen Harrier in the skies above the UK. In September 2003 Chief Constable Brunstrom, the wildlife advisor to the ‘Association of Chief Police Officers’ (ACPO) called a meeting with the governments scientific advisors – English Nature (EN), Scottish Natural Heritage (SNH) and the Countryside Council for Wales (CCW) to discuss the conservation priorities for 2004. So in recognition of the real and imminent threat to the Hen Harrier these agencies declared it a flagship species. In response, the police have formed a national strategy to target criminals involved in Hen Harrier persecution “OPERATION ARTEMIS” is this strategy. The Hen Harrier is under threat throughout the UK. These threats can be broadly identified as loss of habitat and illegal killing. burning, which severely restricts the amount of habitat available to ground nesting birds, including Hen Harriers. There does not appear to be any connection with the grouse shooting industry, on the contrary it appears to be carried out by hill farmers intent on increasing the amount of land available for grazing. An information /education programme is being undertaken. Illegal burning is an all year round problem not affected by, or restricted to, the period governing the upland heather burning regulations, which ends on the 15th April. Consequently the detection of offenders in the act of setting the fires is more difficult to achieve, none the less the Police, in partnership with CCW, will be proactively dealing with the problem during 2004. It is also worth remembering that much of the land in question is designated as Sites of Special Scientific Interest [SSSI] therefore the damage has a huge impact on a large variety of flora and fauna. disrupting breeding attempts, nest and egg destruction and the unlawful killing of adult birds either on breeding grounds or at winter roosts. Whilst heather burning is a problem in both countries it differs from the illegal destruction of habitat that is predominant in Wales. Hen Harriers require areas of old heather for breeding and they begin prospecting for a suitable site in mid March/early April. During this same period grouse moor managers are permitted to use controlled burning, up to the 15th April in England and Wales and the 30th April in Scotland on land above 1500 feet, to remove stands of old heather for the benefit of the grouse. Heather burning is sometimes used, under the guise of lawful heather moor management, to disrupt the birds during this period. This inevitably leads to the birds being displaced and a failed breeding attempt. Hen Harriers are widespread in Scotland, numbering between 365 and 506 breeding pairs and their protection is vital if the species is to recover and extend its range throughout the remainder of the UK. However they are believed to suffer all forms of persecution throughout Scotland, including poisoning. In 2002 there were only seven successful breeding attempts and in 2003 eight successful breeding attempts were recorded. These figures are consistent with previous year on year records. Independent scientific studies and empirical evidence from consecutive national surveys reveal that the population is in terminal decline. Research by Steve Redpath and Simon Thirgood indicates that breeding densities of Hen Harriers upto one nest per 3.3 k2 can co-exist with driven grouse shooting if the Hen Harriers are supplementary fed. Click play to view a movie clip of a female Hen Harrier feeding her chicks with food from the supplementary feeding program. The movie clip may take a few seconds to download. So potentially, driven red grouse shoots could co-exist with over 800 nests/breeding females in the area of England’s upland Special Protection Areas [SPA’s], yet in 2003 only eight pairs of Hen Harriers nested successfully in northern England. It is believed that the low breeding success for the species in England is largely caused by illegal activity. The Hen Harrier is protected both by European and domestic legislation. The domestic legislation is set out below. The Nature Conservation (Scotland) Bill is expected to become legislation in September 2004. The Act will amend the whole of Part 1 of the Wildlife & Countryside (Scotland) Act; and it is anticipated that the word ‘intentionally’ will be replaced by ‘recklessly or intentionally’. A ’cause or permit’ offence will also be added throughout all of Part 1.
. kill, injure or take any wild bird.
. take, damage or destroy the nest of a wild bird whilst in use or being built.
. take or destroy an egg of any wild bird.
. any live or dead wild bird, or any part of, or derived from such a bird.
. an egg of a wild bird or any part of such an egg. is in, on or near a nest containing eggs or young of such a bird.
. disturb dependent young of such a bird. Section 28 It is an offence for anybody to intentionally or recklessly destroy or damage or disturb the designated flora or fauna of a site of special scientific interest, if that person is aware of the designation. Section 69 (1) states: Where a body corporate is guilty of an offence, and that offence is proved to have been committed with the consent or connivance of, or to be attributable to any neglect on any part of, any director, manager, secretary or other similar officer of the body corporate or any person who was purporting to act in any such capacity he, as well as the body corporate, shall be guilty of that offence and shall be liable to be proceeded against and punished accordingly. Six months imprisonment and/or �5000 fine. Section 21(5) Where an offence was committed in respect of more than one bird, nest or egg, the maximum fine which may be imposed shall be determined as if the person had been convicted of a separate offence in respect of each bird, nest or egg. Section 18 (1) Any person who attempts to commit any of the offences listed above shall be guilty of an offence and shall be punishable as if he had committed the offence. Section 18 (2) Any person who for the purposes of committing any of the above offences has in his possession anything capable of being used for committing the offence shall be guilty of an offence and shall be punishable as if he had committed the offence. that evidence of the commission of the offence is to be found on that person. commission of the offence is to be found on that thing. person, enter any land, other than a dwelling house. upon and search those premises for the purpose of obtaining that evidence. We will be seeking the assistance of influential landowners and the shooting community to raise the profile and plight of the Hen Harrier. Once the estates with breeding, or potential breeding for the Hen Harrier have been identified they will be visited by a local Wildlife Crime Officer/Rural Beat Officer. The Officer will serve the appropriate person(s) with an Operation Artemis Code of Best Practice setting out guidelines for moor land management at or near breeding sites and invite them to sign it on behalf of the estate. He/she will also serve that person with a copy of the letter to estate managers outlining the current conservation concern for the Hen Harrier, the legislation and the Police response to non-compliance. Once again they will be invited to sign a copy of the document. There are a number of major problems associated with Hen Harrier protection. 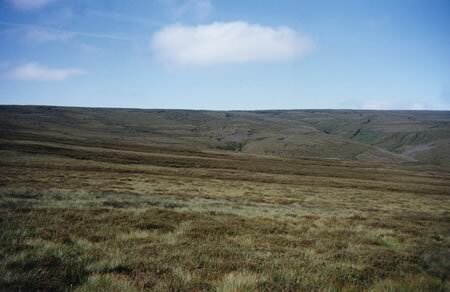 One of the more significant is that the small population breeds in vast expanses of open upland habitat making the nest sites difficult to locate. Access to these areas is totally dependent on the co-operation of the landowners. The Operation Artemis Code of Best Practice may be helpful in addressing this issue. Local ornithology groups, active in Harrier areas, will be asked to pass sightings to the Operation Artemis Co-ordinators as soon as possible. A separate and confidential order detailing appropriate intelligence led covert and overt Police operations aimed at reducing levels of criminal persecution is being circulated to Police Forces. If you wish to contact us about any information contained within this site or with information that may help us in our protection of the Hen Harrier.